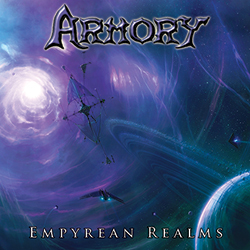 Armory to play with Luca Turillis Rhapsody and Primal Fear at The Palladium! 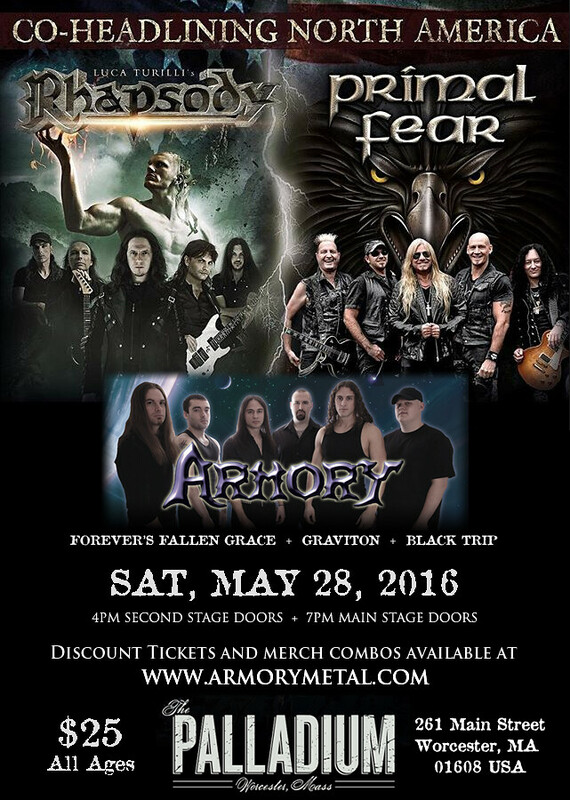 Armory are back at the Worcester Palladium on Saturday, May 28, 2016! This time we’ll be performing with epic metal icons from Italy, Luca Turilli’s Rhapsody and Painkilleresque Germans, Primal Fear! “It is a tremendous honor to share the stage with these legends of heavy metal who have helped to shape the sound of Armory over the years!” Also playing at this show are Forever’s Fallen Grace, Graviton, Black Trip, and Without Warning. Due to circumstances beyond out control the entire event has been moved to Upstairs. Doors open at 4pm. Show is all ages and just $25. Buy tickets directly from us to avoid the usual $10+ in fees. We also have ticket/merch combos available and all orders ship for FREE! For those who weren’t able to come out to see us with Sonata Arctica, here’s your chance to make up for it! And for those who did see us with Sonata Arctica, you’ll be happy to know we will be playing an entirely different set! Make sure you don’t miss this truly epic event! \m/ Armory with Luca Turilli’s Rhapsody and Primal Fear at The Worcester Palladium – Facebook Event Page.